Everyone keeps talking about the new biofuel. It’s not corn since we use so damn much of it in our food processing. The U.S. doesn’t have wonderful weather to grow sugarcane. Algal does have potential; however I’d place my beat on jatropha seeds. It is actually a thin tree with green nuggets that house the durable black seed. It's hardy like mom's soup and resilient like flooring. It’s a promising source that can help to revive our green efforts simply because it has been in the “testing phase” for quite some time. (The U.S. is behind the 8 ball again!) India set aside 100 million acres for jatropha and expects the oil to account for 20% of its consumption by 2011 (hello, that is only 2 years from now). Australia, China, Brazil and Kenya have given it a “thumbs up” and even a Boeing 747 was successfully test-flown by Air New Zealand using a 50/50 blend of jet and jatropha fuel. Farmers in Florida are also all smiles and surprised by the resistance and superiority of this little seed. The University of Florida has been working with local farmers since 2006 whereby 900,000 trees were planted, grown, tested and retested. Turns out that Florida of all places may yield up to 8 times as much oil compared to locations such as India and Africa. For my geek friends….that equals 1,600 gallons of diesel fuel per acre per year compared to 200 gallon for stock trees grown in the wild. We are just getting started on the inputs. What about the outputs? 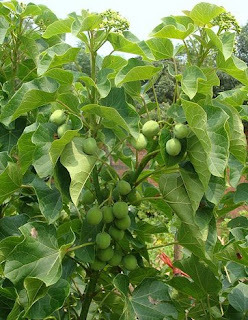 The jatropha fuel is carbon friendly, too. The release of carbon dioxide is practically insignificant and the trees can capture four tons of carbon dioxide per acre. A double whammy! The buzz now – could this tree make growers eligible for carbon credits on the global market? I hope so because the U.S. already is an energy glutton. Source: Tim Magazine and National Biodiesel Conference February 2009. Off the coast of Tasmania, is a frightening, head scratching site. It is the biggest whale-beaching event in history. Ever. Never seen before. Disturbing. Only 54 of the 194 beached were saved. Did chemical dumping cause it? An earthquake? Naval testing that destroyed their sonar? Only a necropsy will provide the answer. 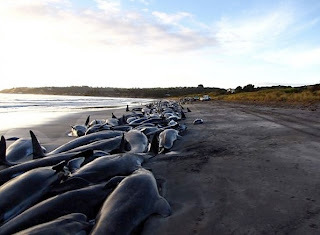 Chris Arthur, spokesman for Tasmania's Parks and Wildlife Service, It was the fourth mass whale stranding on the same stretch of beach since November, and broke a pattern in which many of the marine mammals that were returned to the sea died after beaching themselves yet again. Mark Simmonds, of the Whale and Dolphin Conservation Society, said that is enough to arouse suspicions of a human factor, including the use of sonar by the military. Some strandings in the past have been linked to naval sonar activity. In 2005, the Royal Australian Navy said it would avoid areas where whales were known to be stranding. Even more interesting we hear the message being sent to private citizens to conserve less electrical energy, but we observe our government bodies wasting it. Unless public agencies set the example and become true role models of what needs to be done, many are doubtful that the behavior and attitude will change. More importantly, give us reasons to believe! For starters, there is Earth Hour. A global initiative where for one hour all lights (both residential and commercial) are switched to the off position. 2,848 cities, towns and municipalities in 84 countries have already committed to VOTE EARTH for Earth Hour 2009, as part of the world’s first global election between Earth and global warming. Earth Hour began in Sydney in 2007, when 2.2 million homes and businesses switched off their lights for one hour. In 2008, the message had grown into a global sustainability movement, with 50 million people switching off their lights. Global landmarks such as the Golden Gate Bridge in San Francisco, Rome’s Colosseum, the Sydney Opera House and the Coca Cola billboard in Times Square all stood in darkness. 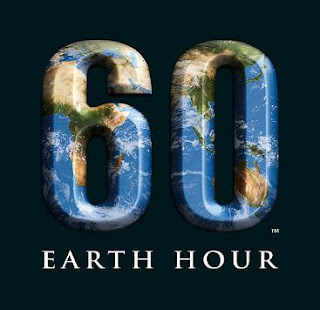 If you live in the U.S. and are on east coast time, then join Earth Hour on Saturday, March 28th at 8:30 p.m. We all have a vote, and every single vote counts. Together we can take control of the future of our planet, for future generations. If you call the automated hot line in Maricopa County, Arizona you get the follow options: Press 1 for Green Pools. Press 2 for Bagful of Fish. Press 9 to repeat this menu. The “green” refers to the algae that are building up in residential areas due to foreclosure properties. The financial and economic crisis in the U.S. has gone to the deep waters. Say goodbye to your tiki torches and whicker patio chairs, because these pools have been frightening breeding grounds for mosquitoes that carry diseases such as West Nile Virus. So what are your options as a home seller or buyer? Don’t call the CDC! One: you can buy a bag full of chemicals that will take out those mosquito soldiers in two weeks (if you work at it everyday). 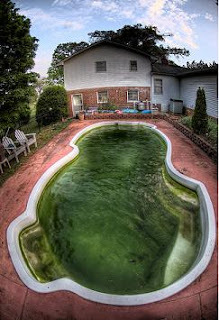 Then to properly adjust the PH level and algae level of the pool you need more chemicals. Yeah…who wants to swim in a pool of muriatic acid, chlorine, sodium bicarbonate, and calcium? Two: you can buy a bag full of fish called mosquito fish (a native to guppies). In open water, big fish eat these little guys. Yet in closed water systems, these little ones become the predators and have a nice “Cinco de Mayo “party on those mosquitoes. One single fish can devour hundreds of larvae in a day. Then those fish multiple like rabbits. Next steps are to invest in nets worthy of good scooping! Source: National Geographic, March 2009. I love poker. It’s like crack, morning coffee, a risky game that keeps you alert. I actually enjoy Texas Hold’em to be more specific for you dirty minds. You get chips, cards, and seat at a table to battle it out (with or without sunglasses) for green cash. Sure it’s a risk, but who doesn’t like a little fun. What if you were the federal government playing poker? Do you double down to play with the AIG boys? Do you fold when it comes to GM potentially going bankrupt? Green cash + green projects = happy Earth. 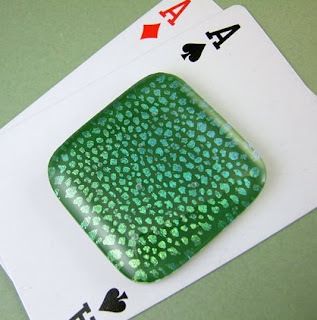 There is no bluff to call, just go all in with your chips and see the beauty of going green. Consume Less. Conserve More. I recently attended a business meeting where lunch was provided to all the attendees. Can’t go wrong with a free lunch, right? Well, what do you do when you see everyone reach for bottled water and the executive admin asks you why aren’t you having anything to drink? Stop. Think. Choose your words wisely…I said to myself. Deep down, I was thinking because I love my endocrine and reproductive system and don’t intend to pollute my body with water that is conveniently packaged yet is really either tap water or just a chemical cocktail. For the record, I’m not a treehugger. I’m a researcher that has reviewed the case studies of Atrazine, PCBs, BPA’s and other nasties in our natural surroundings. Have you been so quick to forget the Melamine cases in milk.? I’ve been educating myself from various sources to learn, to hear different points of view and ultimately make a choice. So, I thought about putting on my research hat and noting that the National Resource Defense Council has documented rocket fuel in our drinking water. About 20 million U.S. households have been impacted since the 1950’s and it hasn’t been completely addressed. The issue is the perchlorate, a chemical used in rocket fuel, that has appeared in veggies like lettuce and spinach as well as the water supply. It alters the thyroid gland – basically another hormone disruptor like BPA (Source ABC News 2007). The chemical entered the water supply when the rocket equipment was hosed down and not properly disposed which flowed into the ground water, surface water, sewers, and irrigation systems. The problems are especially prominent in the Southwestern states. There is one plant in particular in Nevada that has contaminated the Colorado River thus impacting Los Angeles, San Diego, Phoenix, and Las Vegas. Certainly there are powers of interest, who are NOT interested in correcting these mistakes or taking action (nor do they want to be held accountable). Their goal is to make profits. Simply put and they use their power to fight against it and not fix the problem. Again, back to my lunch meeting…I didn’t drink the water (Thanks DMB). Instead, I revealed my colorful Sigg water canteen. “ I brought my own.” I said. Yes, it is free of BPAs and it makes me happy. So the next time you are drinking water and have an upset stomach…you don’t have to blame the dog. Just say you have rocket fuel in your farts. Makes for an interesting conversation about toxins in our system. As the white caps on the waves continue to flow in the Pacific Ocean, so does the Trash Vortex (a.k.a. Garbage Patch or Pacific Subtropical Gyre). This is a slowly moving, clockwise spiral of currents. It’s also a scary place that doesn’t even accommodate fisherman and sailors anymore. Why? The plastic out weighs surface plankton 6:1. Milllons of pounds of it. It's the largest landfill in the world, and it floats in the middle of the ocean. I wrote about the Trash Vortex –Part One and really tried to educate my fellow bloggers and friends. So now the question is back on you…have you changed your consumption habits? Do you need really need that plastic bag from Subway? You only use it for 30 seconds before taking out your sandwich. 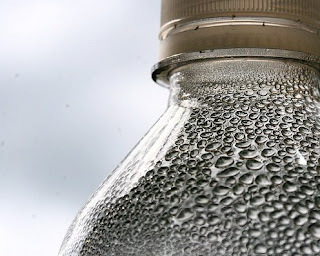 What about your plastic water bottle at the gym or work? 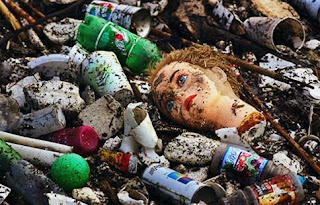 Most of the trash, like the headless Barbie accumulated in Long Beach (Source LA Times) and ends up floating down the Los Angeles River, which carries enough garbage each year to fill the Rose Bowl two stories deep. Don’t you hear the song…I’m a Barbie girl….in a barbie world…it’s fantastic….tastes like plastic. It's not funny anymore. Consume Less. Conserve More. You know those secret shoppers….people who pretend to be shoppers but they are really from corporate checking to make sure you know your stuff. Well, I proposed that we all become secret shoppers and think how Americans actually consume, buy and share products. In our minds, we think Super Size. Small. Extra Large. Two for One. Half off. What if there was a paradigm shift in the way we shop? What if companies asked us our preferences and ethics when it comes to production versus color and size? The next time I make a purchase, I would like to see my selection based on: Union Made. Made in the USA. Fair Trade. Eco-Friendly. These would be the new criteria for putting products on the shelf and ensuring future profits for companies. Is it really that hard to imagine? Target, Wal-Mart, and Giant Eagle would be offering a whole new customer experience that is targeting young and old generations, and light green and dark green consumers. Well, move over because one company already has their act together. 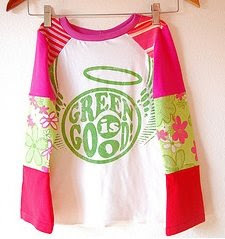 Ethix Merch is known for custom-printed merchandise, made with respect for people and the planet. From bags to bumper stickers, jackets, hats and sporting goods, they don’t label based on S, M, L, XL. Their purpose is to educate consumers and support activism that is making a difference in our shopping patterns and our environment. You can search for orders that support employers that recognize the rights of workers, manufacture locally, and are sensitive to carbon footprints. So the next time you order your Earth Hour t-shirt for March 28th, consider Ethix Merch and who really makes a difference and is not just another producer of toxic garments. Can bamboo save the planet? Popular Story: I came out of the box with a fresh new look. I found my partner at Crocker Park, and was the first unit purchased by Sustaino. I have no more disappointment with my PCs friends, no drama, and no more desperation. Environmental Story: You’ll be pleasantly surprised by how I didn’t hurt the environment with far less packaging garbage and shrink wrap. I have no packaging peanuts, only small cardboard boxes and limited plastic. I even come in a strap bag that is reuseable for grocery shopping and other miscellaneous buying. 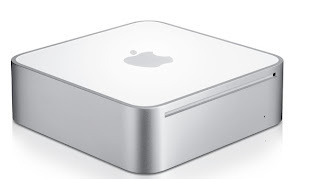 Plus when it’s idle, Mac mini uses less than 13 watts — that’s 45 percent less energy than ever before. Click here for the environmental status report. he tails of fat cattle sway happily. Organized hay stacks fill up the barn and the green tractor is warming up in the early morning sky. This is the return of a booming farming business, but where? Good ole' France. Generations of prestige farming families are passing down to their children exceptional cattle, goats, horses, and chickens. Certainly, animals are assets; however, more importantly rich soil based land is attracting a new breed of farmers - NEO-Ruralites. This is the new group of young Gen Yers, living in France and working in cities that fantasize. They dream with their entrepreneurial spirits about reducing their carbon footprint, contributing to the community, living off the fertile land and of course making a profit. Do you see the dilemma building up here? Existing farmers have just received a major wake up call that these energetic, NEO-Ruralites mean business. Farmers chuckle and wonder if they actually know how to operate farming equipment and can apply the basic farming techniques. It is the battle between book-smart vs. street (ah-farming) smart. Of course, having a little fresh chevre with a red bordeaux wine isn't so bad, right? But who is milking the goats?